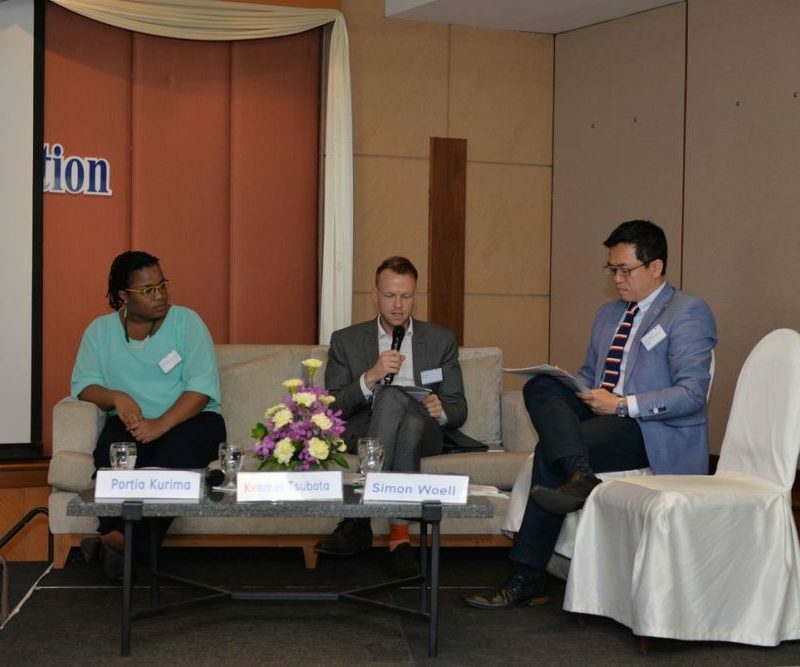 The Social Science Division of Mahidol University International College (MUIC) collaborated with the Institute of Human Rights and Peace Studies of Mahidol University and the United Nations Action for Cooperation Against Trafficking in Persons (UN-ACT) in organizing an International Seminar on Mixed Migration in Southeast and East Asia. Featuring some 30 papers, the conference brought together experts from the US, Europe, Australia and Asia at MUIC’s Salaya Pavilion Hotel on June 21-22, 2017. Participants included academics as well as professionals from international organizations and NGOs. All sessions were live-streamed on Facebook, the recordings remaining accessible at http://www.facebook.com/NoTrafficking. In connection with the conference, MUIC also hosted the photo exhibition “Behind Tin Walls” with scenes from the lives of migrant construction workers in Bangkok. The conference program also included the demonstration of an educational board game on the trafficking of girls and women in Nepal, a project developed by two students of MUIC’s Social Science Division.